The arrival of a giant oil rig in Namibia’s main port signified the start of a rig reactivation project that will inject much needed revenue into the marine industrial complex of Walvis Bay. The arrival of the giant drill rig, the SKD Jaya in the port allowed residents of the port town to witness the marvels of modern technology first hand. 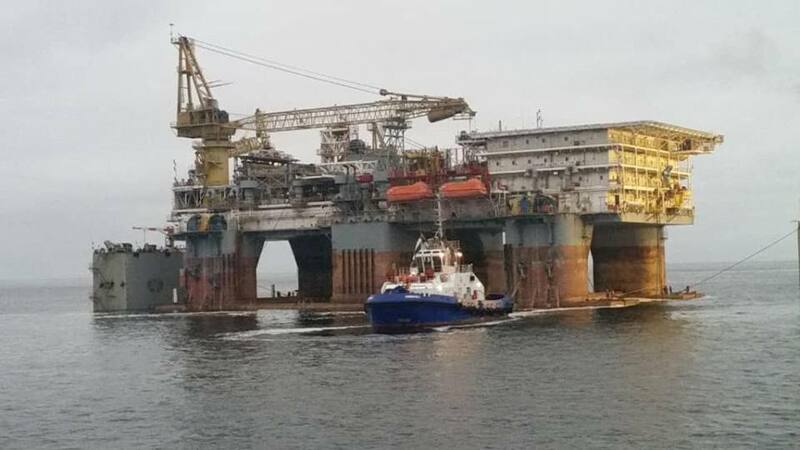 The huge rig was transported on the deck of the semi-submersible heavy-lift vessel, the Hua Hai Long from the Gulf of Paria. 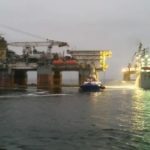 In order for the giant rig to moor at the quay of the Walvis Bay harbour the special transport ship had to sink deep below the water’s surface to allow her cargo to float free. 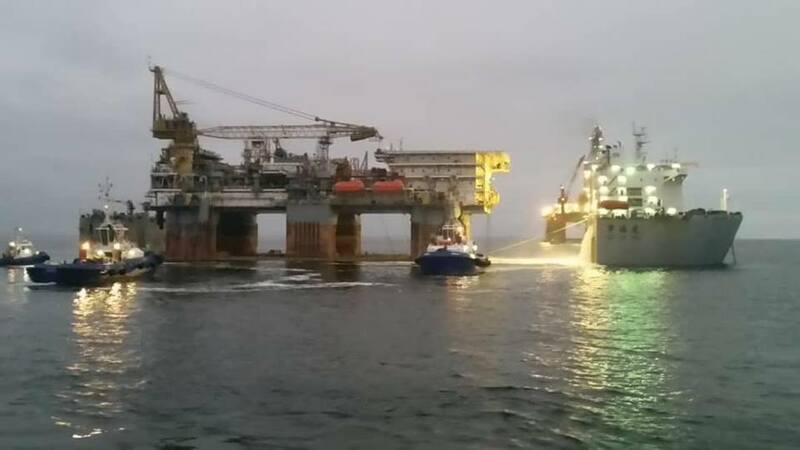 After the rig was refloated several Namport tugs maneuvered the huge structure next to the quay wall where repair works by Elgin Brown and Hamer Nami will be affected over the coming weeks. “Reactivating a very large structure such as the SKD Jaya firstly involves a detailed inspection above and below the waterline. The scope of work will include full shipyard marine engineering services, such as metal work, fabrication, carpentry, mechanical, coatings and electrical repair,” EBHN Marketing Manager Quintin Simon said. The unique characteristics of the marine industrial complex situated in Walvis Bay makes it one of the choice destinations for ship repair on the Atlantic seaboard of the African Continent. EBH Namibia and Walvis Bay is the only shipyard on Africa’s West Coast that can offer this comprehensive service capability. The owner of the SKD Jaya, Sapura Energy, selected EBH Namibia in Walvis Bay to reactivate their self-erecting tender-assisted drilling platform. Simon said earlier in February that securing the contract to do the repair and maintenance work on the giant rig is major vote of confidence in the abilities of Elgin Brown and Hamer Namibia. He said the new found confidence shown by the international offshore oil and gas industry in Namibia’s ability to render world class services is underpinned by EBH Namibia’s majority shareholder Namport’s multi-billion Namibian Dollar investment in the expansion of the Walvis Bay port, enabling the berthing of larger vessels which creates many beneficial downstream opportunities for the local service industry. The rig reactivation project is slated to the be the first of a number, which will provide all stakeholders in the marine industrial complex as well as the local Walvis Bay community with strong sustainable revenue.